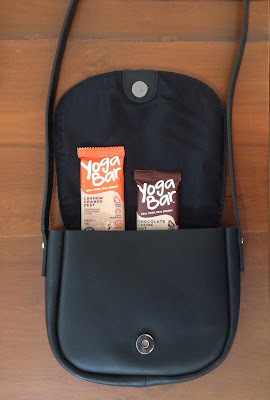 With the fitness market booming and new brands popping up with an array of products, Yoga Bar stands true to its ideals & doesn’t compromise on giving you the best “Healthy Snack” your money can buy. 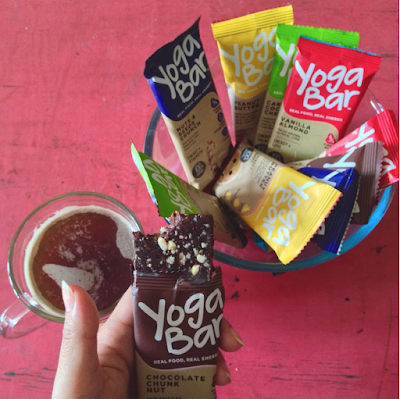 Yogabars are made with tasty ingredients like nuts, fruits, honey and spices. Yogabar believes in the concept of Food for thought. The brand believes that the best kind of food is always made of simple wholesome ingredients, just like I think. They never use artificial sugars, preservatives or additives. All the products are created with 100% natural ingredients. 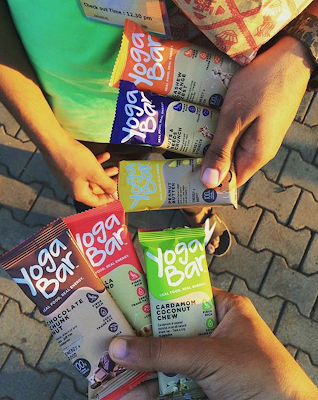 With 6 delicious flavours, each Yogabar has the nutrition one needs without the extras. Well chosen balanced ingredients gives the bars an ideal nutrition profile for a snack bar: 150 -170 calories, source of dietary fiber, 3- 4g of protein, healthy fats and complex carbs. These bars work really well as a snack during a long day without the guilt of bad snacking or for getting enough nutrition and energy while training. Yogabars are available in 6 different variants, in flavours that remind you of your favourite desserts and comfort foods - Cashew Orange, Chocolate Chunk Nut, Vanilla Almond, Peanut Butter, Nuts and Seeds and Mocha Magic. The bars work really well to replace a missed meal or as an in between snack. I normally have these bars during my late night hunger pangs or before my work out.